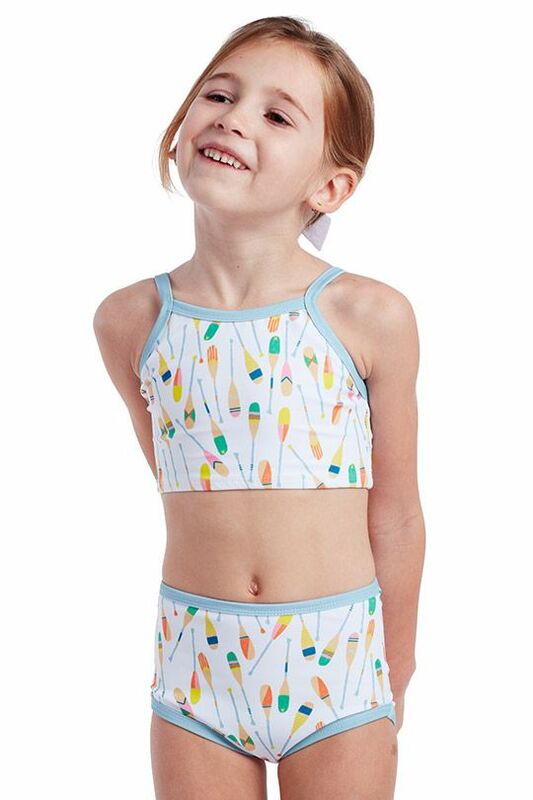 Pearl Street Swim is a coastal-inspired children’s swimwear label that captures the imaginative and playful spirit of our little ones. 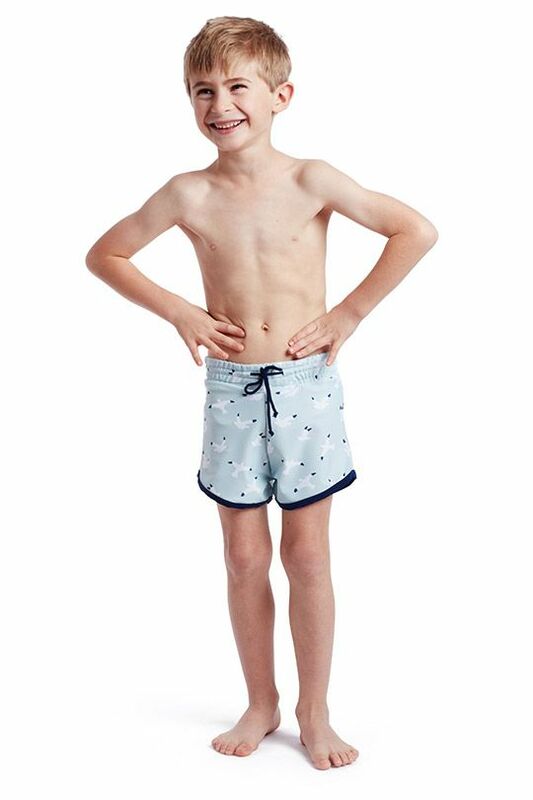 Featuring classic designs and colours to stand the test of time, this collection of swimwear for girls and boys offers comfort and style. 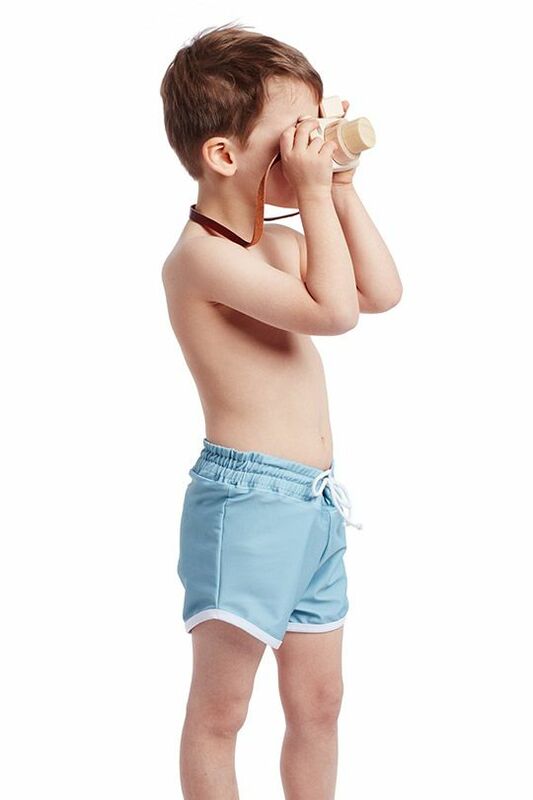 Dreamt up in the seaside village of Bellport on the south shore of Long Island and brought to life in Brooklyn, New York, Pearl Street Swim aims to offer swimwear options for those magical, picture-perfect beach, swim and play moments we dream of. Their suits come in unique, hand illustrated patterns and coordinating solids. 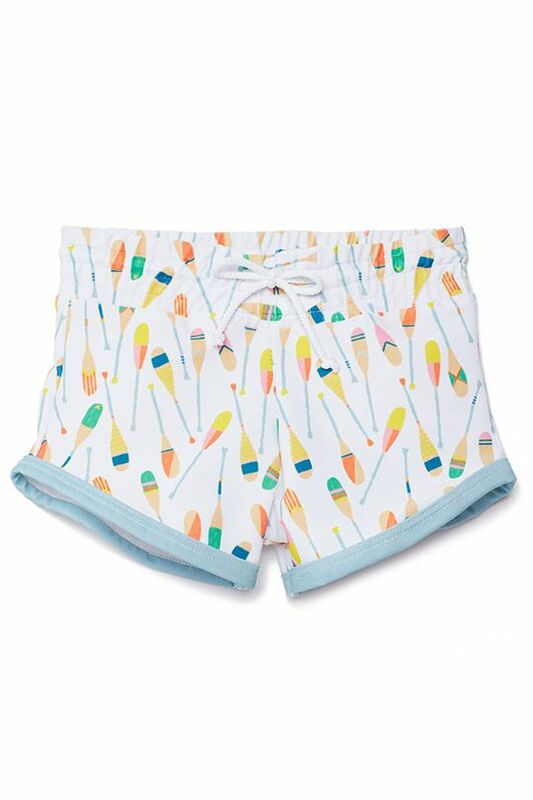 They’re unique and striking, but yet subdued in colour - designed to start life reminiscent of a child’s favourite suit at the end of a happy summer. You’ll find one piece and two piece suits, rashguards and trunks. 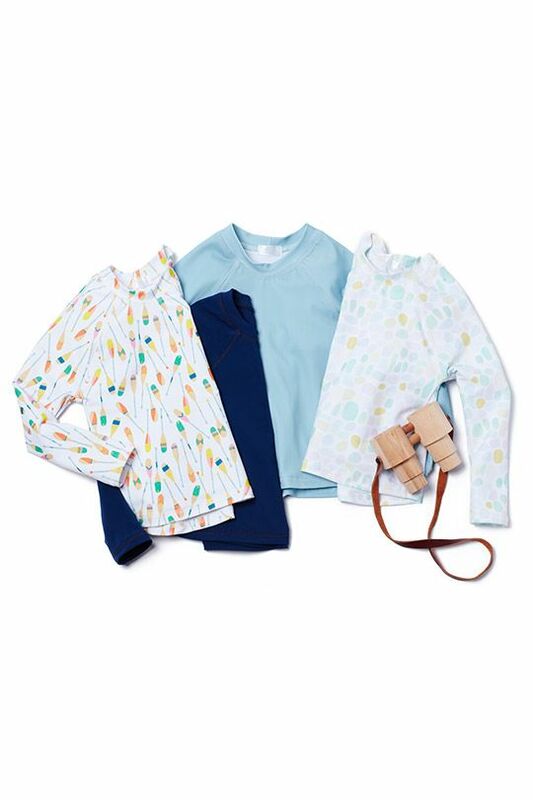 Each item is designed for active children - sport silhouette two-pieces offering generous coverage, rashguards with raglan sleeves and a tailored fit to allow both easy movement in the suit and through water. 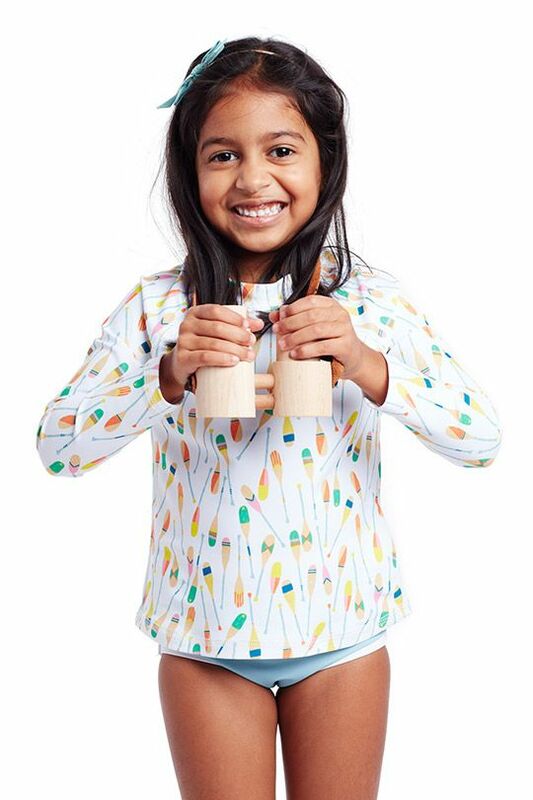 All fabrics are spf 50+, chlorine and sunscreen resistant, are quick drying and breathable. Pearl Street Swim is the creation of a mama, Sophie, who found a lack of chic, quality and age-appropriate swimwear for her daughter. In creating her ideal product, Sophie places conscious effort on being eco-efficient through the entire process of creating her product. All suits are made in the USA.